A little while back Paste ran a list of the 50 best first-person shooters of all time, and it got me thinking a little about my own experiences with the genre. There was a point in my life where I just thought shooters weren’t for me. It wasn’t as though I didn’t play a lot of other games, but whenever first or third person gunplay was on the table I was quick to dismiss it and whatever it was attached to. I got over it one carefully-chosen baby step at a time until I came to enjoy a good headshot as much as any other well-performed skill in a game. But as someone who now occasionally gushes about virtual shooting in both personal and professional spaces this rejection is still something I still hear quite a lot, particularly from players who aren’t deeply indoctrinated into gaming culture. Everyone has their reasons, but for just about every reason there’s a shooter that offers a satisfying counter. Whether you’re looking to make recommendations to some gun-shy friends or you just want to dip your toes into the world of first and third-person shooters, consider these starting points. One judgment I’ve heard (and been guilty of making myself) is that shooters have very narrow focuses, both in terms of their worlds and in terms of what players are actually doing within them. Go to point A, kill some people, go to point B, kill some people, go to point C, interact with a car and/or helicopter, go to point D, kill some people… Now it’s not like other kinds of games aren’t sometimes just as guilty of this, and moreover just because a game keeps you on a tight path doesn’t mean it’s unenjoyable by definition, but when you’re making blanket judgments about a genre these points are easily overlooked. Recent entries in the Fallout franchise are a good counterargument to this because they set the player in the middle of a rather open-ended map and offer a single guiding thread to follow if they choose—and a few hundred stray threads to follow if they prefer those instead. Although Fallout: New Vegas is (arguably) more linear than its fellows, it’s still the one I would recommend most, if only because Fallout 4 doesn’t let you challenge every friendly face to a game of Caravan. The biggest downside to Titanfall (at least in its present state) is that basically no one seems to be playing it these days. That means you’ll need to bring your own crew if you want to enjoy its diverse maps, atypical mobility options, and multiplayer that combines PVE and PVP combat. Oh, and the mechs. Did I forget to mention the mechs? Titanfall’s initial pitch revolved around the ability to call down so-called titans via air drops (hence the name) and pilot the hulking metal suits to turn the tide of a fight in your team’s favor. In practice you’re sure to spend much more time waiting until you can call a titan in than you’re spend in the titan itself, but even if Titanfall didn’t deliver on some of its hype it’s still a solid multiplayer shooter, even if those aren’t usually your thing. There’s enough to do that everyone can play to their strengths… And then eventually hop into a robot. There are a lot of military-based shooters, and a lot of crime-based shooters, and a lot of police-based shooters, and a lot of apocalypse-based shooters, and the one thing all of those often have in common are drab color palettes. Drab is perhaps a bit ungenerous, but if you’re looking for a lot of visual stimulation it can absolutely feel like the genre doesn’t have all that much to offer. But it does. 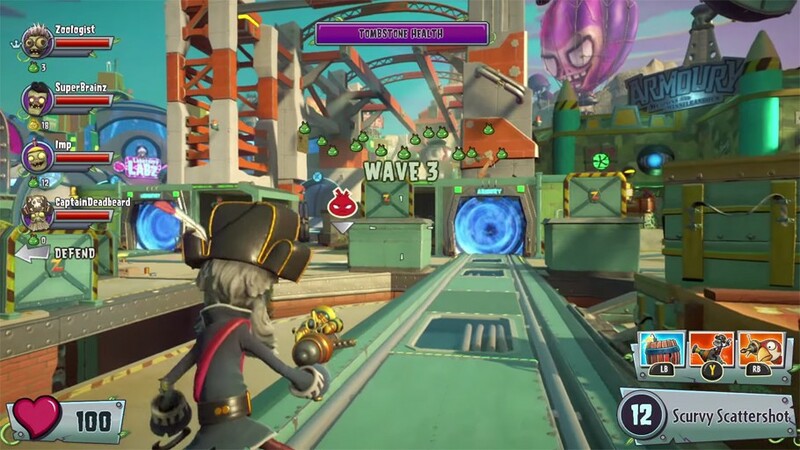 While I was originally going to put Lovely Planet forth as a rebuttal to this particular concern, Plants vs. Zombies Garden Warfare 2 came out recently and in addition to being a slightly more timely recommendation seems like a good iteration on the first game. There’s lots of color, lots of effects and animation, vivid characters and environments, and as an added bonus you don’t need to worry if you have any impressionable young ‘uns peering over your shoulder while you play—or if they want to play themselves. 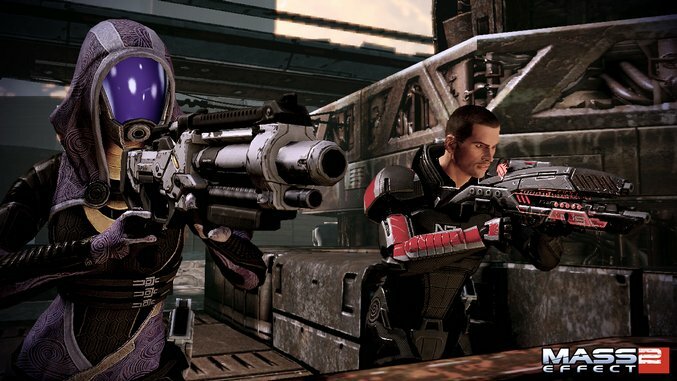 For anyone who feels like most shooters are lacking in terms of the quality of their fiction, the Mass Effect franchise is an easy recommendation to make. These games prioritize choice and bonds between characters, and flesh their world out with an abundance of juicy lore. Each game in the series only improves on this. On one hand this makes it tempting to recommend later games because the storytelling does develop tremendously, but on the other Mass Effect isn’t like Fallout. In Fallout you can get by quite easily with only the barest pre-existing knowledge about the world because most of the characters you play have a narrow view of that world themselves. Much of what they come across is new to them, which makes it a lot easier to enter the series at any point you like. But Mass Effect (at least the three current games) follow one protagonist’s journey through a world they are fairly well acquainted with in comparison. Anyone coming to this series for the story is absolutely going to want to start at the beginning. 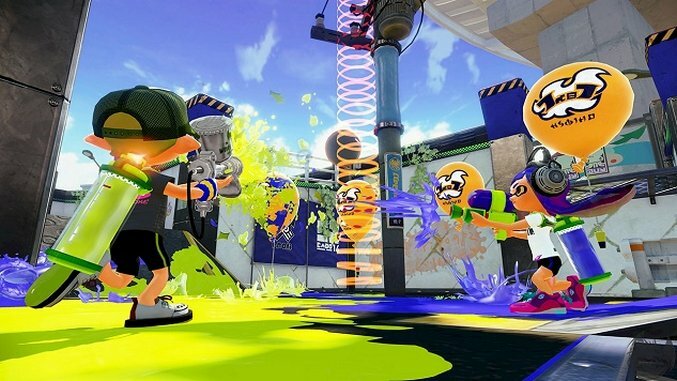 The ink spraying squid-kids of Splatoon could actually be the answer to more than half of the concerns I bring up here, but that frankly wouldn’t make for a terribly interesting list. This game (which is as much about defeating opponents as it is about inking up their territory) become a hit with new players and veterans of the genre alike purely because it offers such a fresh, spunky and stylish take on the very concept of a shooter. It succeeds in subverting so much of what many have come to expect from them—especially when it comes to competitive multiplayer—in the past decade. So if you (or someone you know) is really struggling to find the joy in the shooter genre, you may want to cut to the chase and sit down with a Wii U and a copy of Splatoon. You’re almost sure to find a surplus of joy there.